Weddings are rife with wedding traditions and expectations. 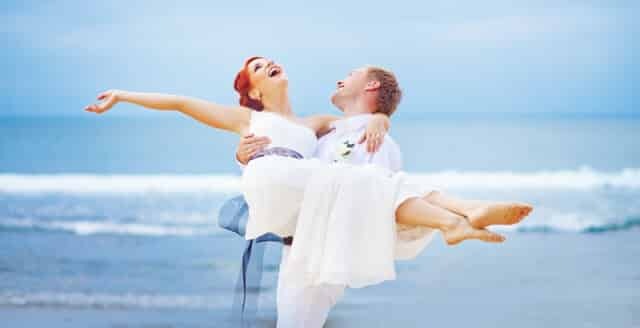 When it comes to planning your own wedding, you and your spouse-to-be may find joy in perpetuating those traditions or participating in a ritual that has been a part of your culture for generations. But if you find some of those same expectations stifling instead of meaningful, you’re not alone. What’s more important than tradition is what it means to you. That’s why more couples are choosing to write their own vows and find new ways to symbolize their unity. With a few twists on traditions, you can create a wedding that’s as unique as your relationship, and one you’ll both enjoy. After all, it’s supposed to be a celebration of your union. If you’re not both having fun at your own celebration, you’re not doing it right. Is your relationship an epic love story for the ages, or did it perhaps begin with an absolutely adorable tale of love at first sight? 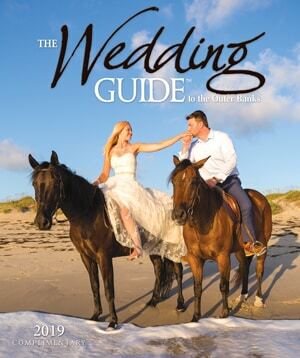 Print your story in the wedding program for guests to read, or have the officiant tell your story during the ceremony. These details will surely make the ceremony your own. If the first time you danced together was to “Thunderstruck,” make that the song you walk down the aisle to. In fact, forget walking. Dance down the aisle to it if you feel so inclined. Sing it. Air guitar it. Employ a marching band. Don’t feel bound to confine your vows to the usual promises of “to have and to hold”. Vow to always snuggle on rainy days, to never watch The Walking Dead without the other, and to make chicken noodle soup when the other is sick. Tell your partner what you love about them, and how being married to them makes you feel. Or find ways to include your wedding guests in your vows. Have your officiant ask them if they promise to support your new marriage and offer love, advice, and wisdom. The guests can shout, “We do!” Have each guest hold on to a shell or a stone during the ceremony and say a prayer or good intention over it. You can then gather the shells in a keepsake bowl, or have them all toss their shells into the ocean (which makes for excellent pictures). Many weddings include a unity ceremony in which the couple uses the flames from two candles to light a single unity candle together. There’s no shortage of other rituals encompassing the same symbolism. You could plant a tree together using soil from each of your hometowns. You could run with the beach wedding theme and have a unity tiki torch, water, salt, or sand ceremony. Make a unity cocktail and toast to the happy days of marital bliss ahead of you. If you’re both Penguins fans, Whovians, Deadheads or amateur astronomers, find a way to incorporate those passions into your special day. You don’t have to go full tilt into theme wedding territory to include them. Sneak a Monty Python reference into your programs. Or craft paper flowers for the bouquets out of sheet music.